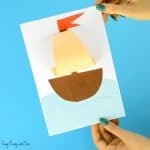 We sure do love simple crafts, and when it comes to simple, nothing beats crafts made out of paper! 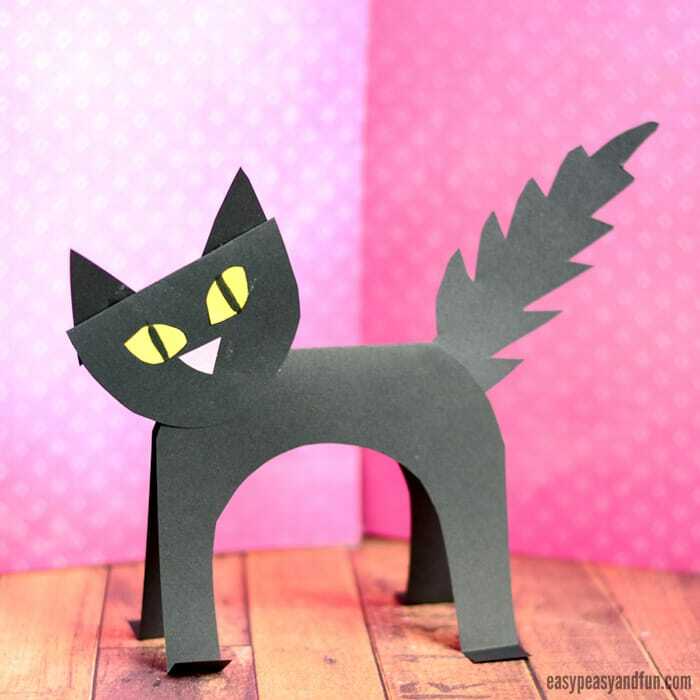 This black cat paper craft is super easy to make, your kids will have one in no time and we are pretty sure it will be hard for them to stop at just one! 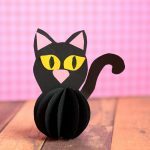 This black cat craft is great to do around Halloween, but you can naturally make cat crafts all year round. 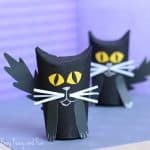 We do love a good halloween craft for kids to make, well and one that grown ups can enjoy too and this Black Cat Paper Craft certainly fits the description. It’s insanely easy to make but still looks absolutely cool! 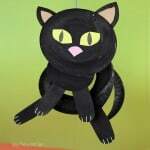 You can make a “regular” tail, but if you want a spooky cool craft for Halloween we totally recommend you make the tail as we did, in a full fledged fluffed up angry cat tail. 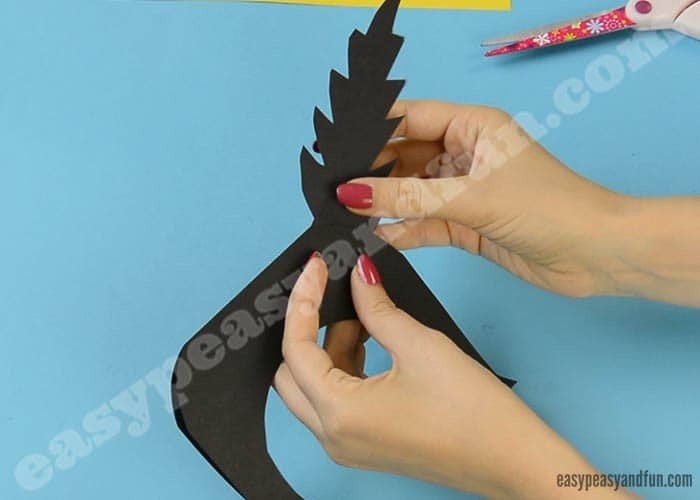 You can make these with regular print paper or use construction paper. 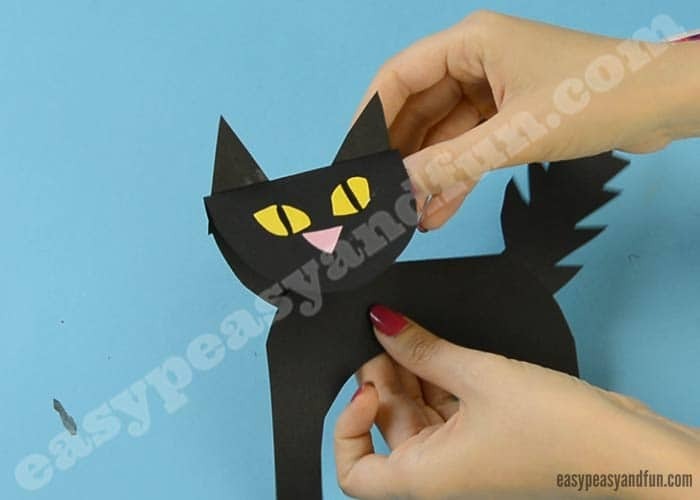 If you will be using regular print paper, we do recommend you glue the cat onto another piece of paper (make a stand) as it won’t be standing on it’s own – well at least not for long. 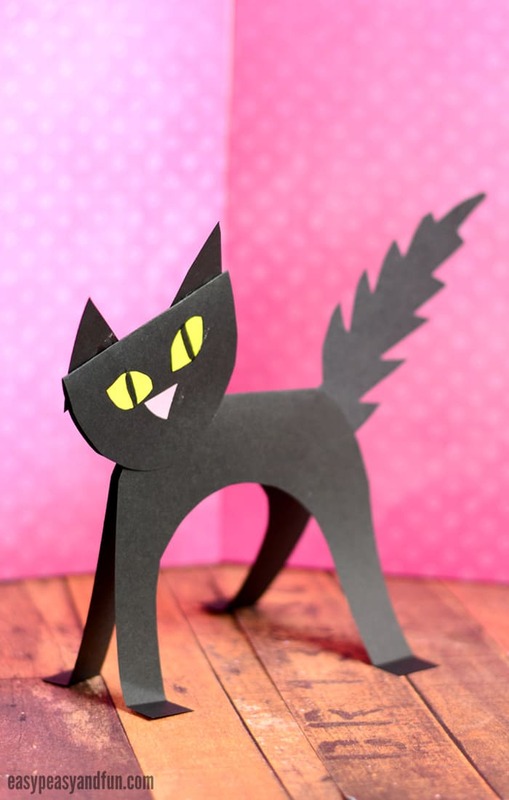 A cat made out of construction paper will be able to stand on it’s own. 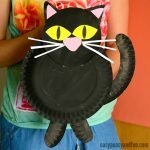 Ready to make your own black cat! Let’s get crafty! 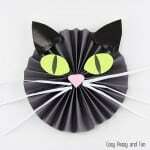 You could also make a tabby, white kitty, black and white cat… Rainbow cat even! 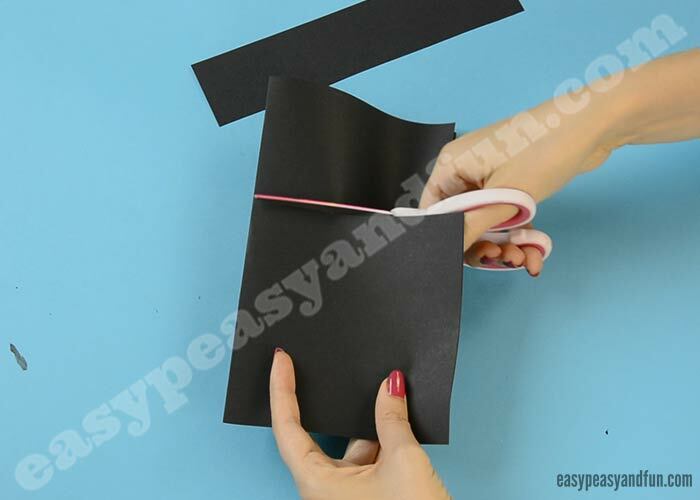 Fold the sheet of black paper. You can fold it in half or as we did (in half ish). 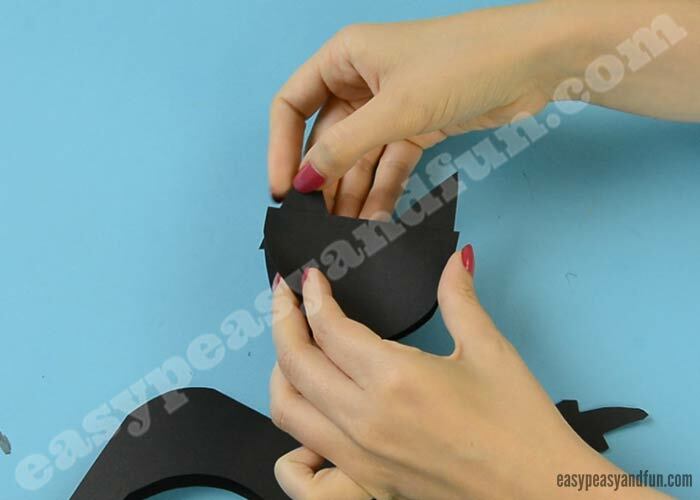 Cut any “excess” and put aside, we will use this part to make some body parts. 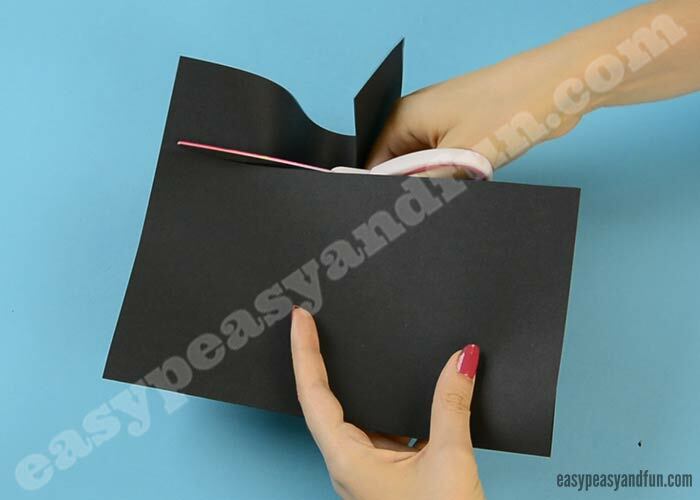 If you folded your paper in half, you won’t have this excess paper, so you will utilise other “extra” paper to mae certain body parts. 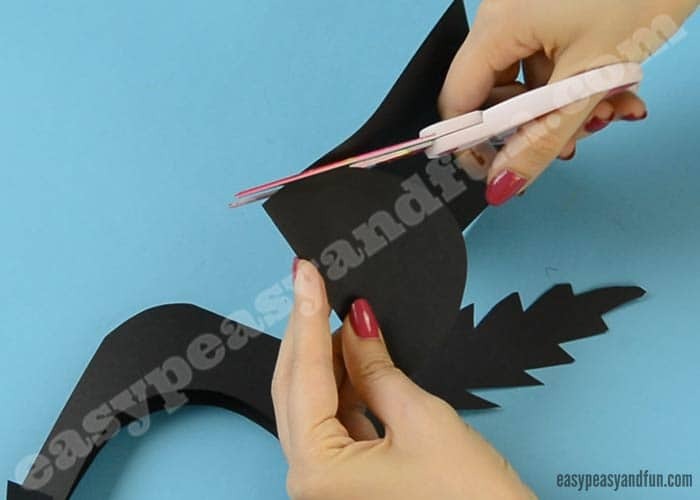 Cut a third of the paper, set aside. No need to be exact when making this. You can always use another sheet of paper. 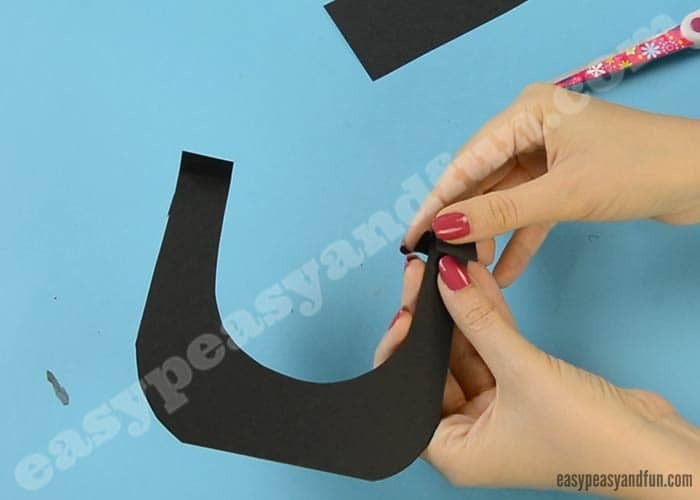 From the larger piece of paper, cut out the U shape (opposite of the fold). 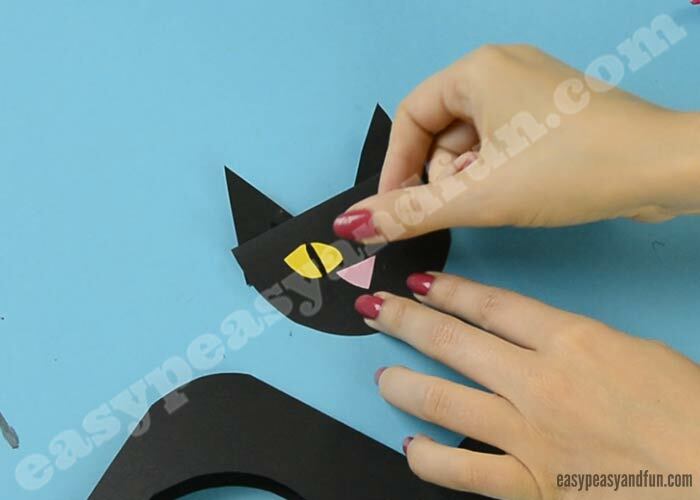 This will make the body of the Black Cat Paper Craft. You can trim it a bit on the edges to make it look nicer (totally optional). Fold the feet so the kitty will be able to stand. Glue the tail on the body. Cut the head and decorate it. 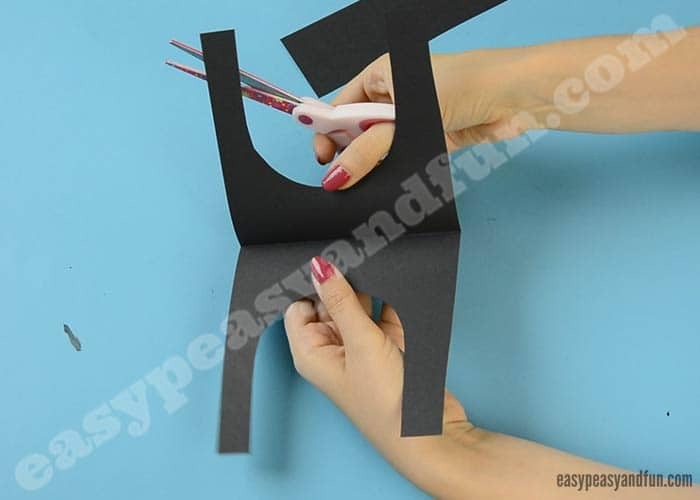 We cut the half circle out of the folded paper (so a circle folded in half). Glue the head on the body. 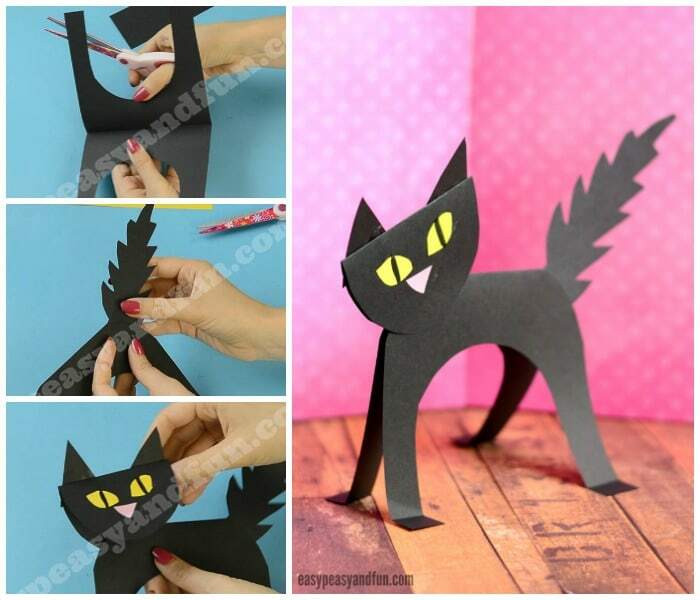 We hope you enjoyed making your Black Cat Paper Craft.